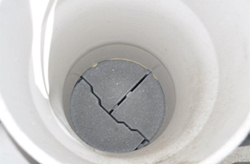 American Excelsior Company's ErosionLab® was contracted by ECS Solutions, LLC to help better understand the infiltration capabilities of the PaveDrain porous paver technology. The outdoor testing for the study was conducted during August 2010 at ErosionLab. The PaveDrain blocks were installed over two plots that contained different underlying materials. The plots were exposed to increasing simulated rainfall events with one hour durations until runoff was measured from the plot. Porous Pavement BMP's score at or NEAR the top in virtually every major category. Infiltration systems can be considered 100 percent effective at removing pollutants in the fraction of water that is infiltrated, since the pollutants found in this volume are not discharged directly to surface waters. Quantifying the removal efficiency of infiltration systems, therefore can best be determined by calculating the percent of the average annual runoff volume that is infiltrated, and assuming 100 percent removal of pollutants found in that runoff volume.